June Franklin asks Joe to find a runaway girl; Billy Ray is looking for a missing witness; Robb Pogue wants CHIPs to undertake a case review of a past kidnapping; the McIntyre twins visit Frank; Big Mac has a gift for Doc; a ripped off arts student asks Joe for help; the parents of a teen who overdosed ask Joe to find the dealer; there is a shoot out at Kidd’s Gun Shop; Another week in paradise! 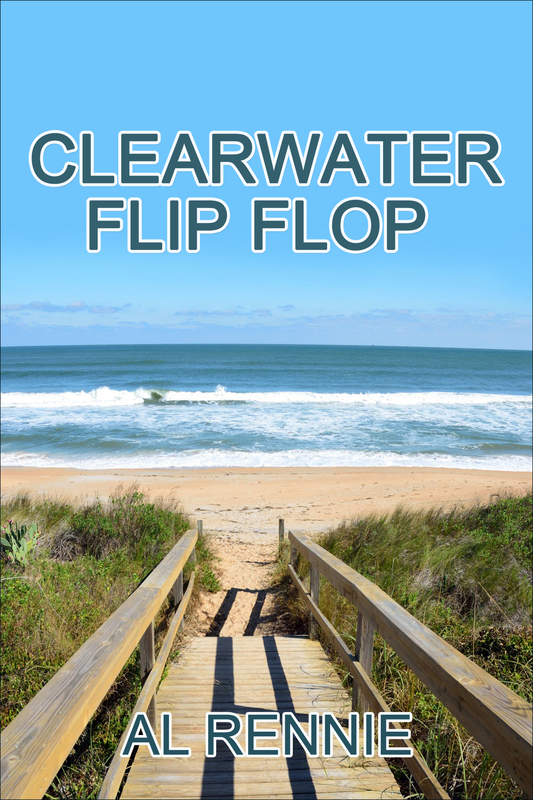 Clearwater Flip Flop has been sent off to Kindle and Smashwords. It will be available from Smashwords almost immediately. It will be for sale from Kobo, B&N and I-Books sometime in the next two weeks and from Kindle in the next week. Sorry I cannot be more specific. Amazon had bought out CreateSpace, so I will not be going to the expense of creating a paperback for this title. Merry Christmas and a Happy New Year to all you Joe and Mia readers. Thanks Al, I’ll keep looking for it. Excited to see this new book coming out. Just finished Gun Thug and it totally surprised me. Love the Clearwater series, thank you for them. Thanks for the update Al. Always look forward to hearing about the daily adventures of my favorite group of eccentrics. They never seem to have a dull day do they eh? Still waiting on for the next “Riverview” instalment…. So excited about Flip Flop. Congratulations on another book in your wonderful Clearwater series!! I was so glad to learn this. I love this series. I was just at the point of needing a new novel, thank you so much. Hope that you enjoy it … have a great weekend . Thanks Al, I shall purchase it post-haste.Keep up the good work and have yourself a swell holiday season as well.Oh,and please keep the Trump bashing out of the story. Read the book, awesome. Review on B & N.